Your Aunt Fanny are an all-female comedy sketch group made up of young women from the North East of England. Minge Unhinged is a celebration of all things fabulous, ridiculous and thoroughly inappropriate. Ultimately, Your Aunt Fanny believe that nothing is out of bounds and encourages the outrageous wherever possible. Minge Unhinged vividly captures a night out on the town with your wildest, oldest, filthiest friend. 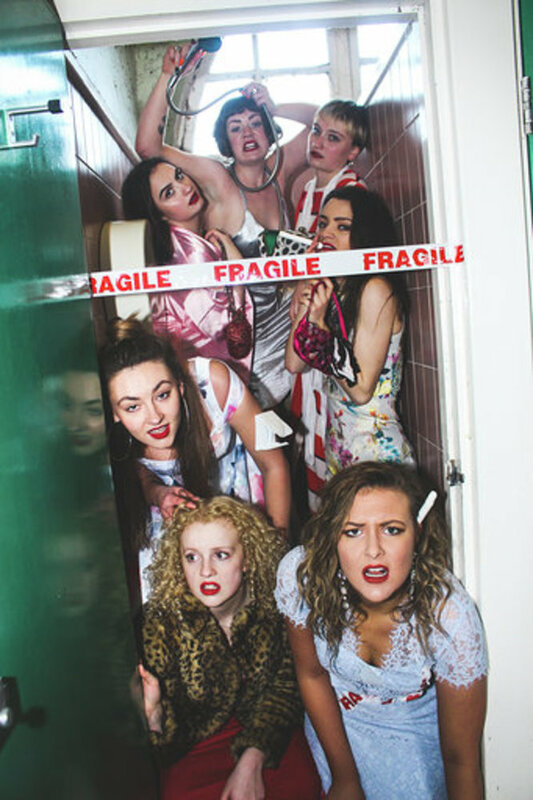 Your Aunt Fanny is an all-female comedy sketch group made up of young women from the North East of England. After being founded in 2013 through Live’s Youth Theatre Programme, Your Aunt Fanny have sold out to audiences across the North East at venues such as Live Theatre, Gala Durham, Northern Stage, Alphabetti Theatre and The Stand Comedy Club. Most notably the company boast an incredibly successful 11-night run at the Edinburgh Fringe Festival. We celebrate the fabulous, ridiculous and thoroughly inappropriate. The company exists in its current stage with 7 primary members: Brogan Gilbert, Emma Crowley-Bennet, Iz Sorby, Jackie Edwards, Katie Powell, Lydia Brickland and Matilda Neill.